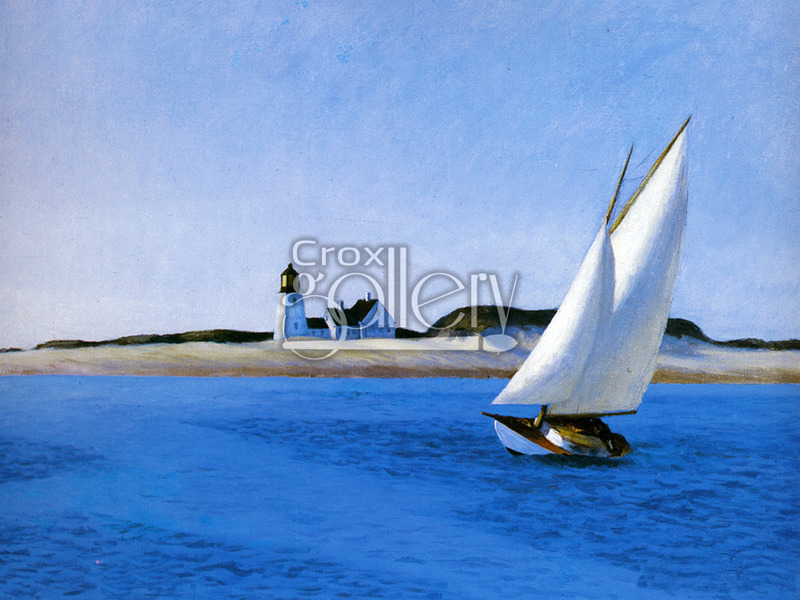 "Long Leg" by Hopper, Modern Seascape Painting. 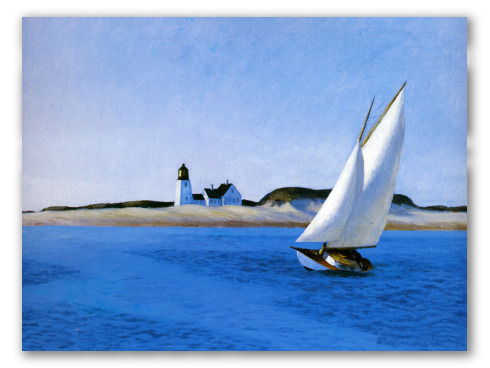 Long Leg is a seascape painted by Edward Hopper, in which we can see a sailboat with a small coast town in the background. The work is considered an aesthetic model of art which combines recreational images and landscapes.